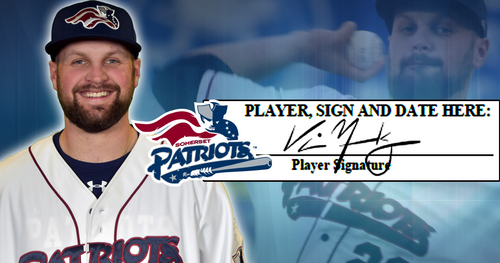 Bridgewater, NJ- The Somerset Patriots announced today that right-handed pitcher Vince Molesky has been re-signed for the 2019 season. 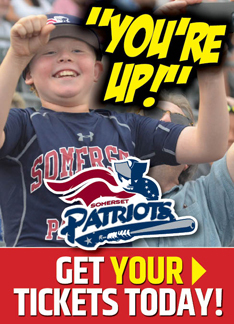 Molesky enters his second season with the Somerset Patriots and second in the Atlantic League. The 28 year-old shined in his first year with the Patriots, going 7-2 with a team-best 2.66 ERA and 88 strikeouts against just 22 walks over 29 appearances (11 starts). His ERA was the second lowest in the league among qualified pitchers, trailing only James Russell’s 2.36 ERA (Sugar Land Skeeters). Additionally, Molesky sported a 1.20 WHIP – third best in the league among qualifiers. The Mountoursville, Pennsylvania native began the year in Somerset’s bullpen before transitioning into the starting rotation. He carried a 1.66 ERA over his first eight relief appearances before he made his first start of the season: a nine-strikeout performance over six one-hit innings against the Road Warriors in early June. The 6’3” righty returned to the bullpen for the next month before he was entrenched as a starting pitcher in late July. Starting on July 26th, Molesky enjoyed a five-start stretch where he yielded just three earned runs over 34 innings (0.79 ERA). This stretch included back-to-back shutout performances on the road against first place Sugar Land. Overall, he allowed just 13 earned runs over 64.2 innings of work (1.81 ERA) in his 11 starts last year. Those numbers helped Molesky earn the nod as the Game One starting pitcher in the Liberty Division Championship Series. The Mount St. Mary’s alumnus spent the first three years of his professional career with the Gateway Grizzlies (Frontier League). In 2017, he finished with an 8-7 record and a 3.85 ERA over 21 games (19 starts). He was tied for the league-lead in strikeouts (120) and finished third in innings pitched (128.2) while only allowing 34 walks. Molesky made 18 starts in each of his first two seasons with the Grizzlies (2015-16). He led the Frontier League in strikeouts (110) against just 25 walks in 2016 along with a 3.70 ERA. Additionally, he struck out 96 batters against 29 walks over 108.2 innings in his first season with the Grizzlies (2015). Molesky owns a 25-23 record with a 3.83 ERA and 414 strikeouts over 462.1 innings pitched in his four-year professional career.